Golden Gate Estates may be one of the most difficult communities to define in typical Southwest Florida terms. “Expansive” and “Something for everyone” may be the best place to start. Golden Gate Estates is one of the largest communities in the area, covering approximately 80 square miles. Not acres. Eighty square miles. Golden Gate Estates was created in the 1960s by a visionary developer who dreamed of making it the world’s largest subdivision. It reaches from Livingston Road on the west to Desoto Road on the east, a distance of approximately 20 miles. The diversity available within those boundaries ranges from drylands to wetlands and swamplands. The western end is within the Naples metropolitan area. The eastern end stretches out toward the Everglades and offers a rural lifestyle. Animal lovers, especially horse lovers prefer Golden Gate Estates because they have plenty of space to keep their horses at home, eliminating the need to board them elsewhere. Lot sizes range from a minimum of 1.4 acres up to 10 acres. Homeowners may build whatever style home they please with few restrictions. The diversity of home styles, sizes, and acreages avoids the cookie-cutter effect characteristic of so many other planned communities. Single family homes, small ranches, estate homes, and mansions are located throughout the diverse community. Undeveloped lots are still plentiful for those who prefer a custom-built home. The rural east side provides ready access to the Picayune Strand State Forest, Bird Rookery Swamp, Corkscrew Nature Preserve, Fackahatchee Strand State Preserve and the Florida Panther National Wildlife Refuge. Horse owners and lovers have a wide selection of riding facilities available, including 22 miles of trails at Belle Meade in the Picayune State Forest and the nearby Everglades Ranch and Triple V Ranch. The urban west side features quick access to the beach while still retaining either a rural or suburban lifestyle. The Golden Gate Community Center, Golden Gate High School, and Golden Gate Community Park are all centrally located, nestled in the elbow of Interstate 75 where it turns east toward Ft. Lauderdale and Miami. Golden Gate, Golden Gate Terrace, and Mike Davis elementary schools and St. John Neumann Catholic High School are in this same immediate area. For golfers, the Quality Inn & Suites Golf Resort (aka, Golden Gate Country Club) is located at the intersection of Collier Boulevard and Golden Gate Parkway. The Healthcare Network of Southwest Florida is planning to construct a new 50,000 square foot medical complex at the corner of Green and Collier Boulevards. The new facility will complement the network’s other four in Naples and Immokalee. Perhaps a better way to describe living in Golden Gate Estates is “living life the way you want.” Regardless of the style or size of the home or the size of the lot, there should be something for everyone. However, if not, there is an abundance of properties available upon which to build exactly the home you want and develop the property the way you like it. The big advantage for residents of Golden Gate Estates is that all of the amenities that make Naples the unique Florida destination that it is are just as available as they are to anyone else. 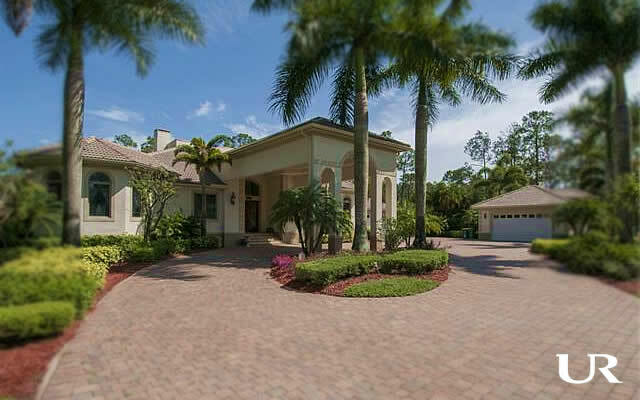 In fact, it might be fair to say that Golden Gate Estates offers the most genuine Southwest Florida lifestyle in the Naples area.